When: Sunday Oct 6, 2019, 9:00 AM – noon. 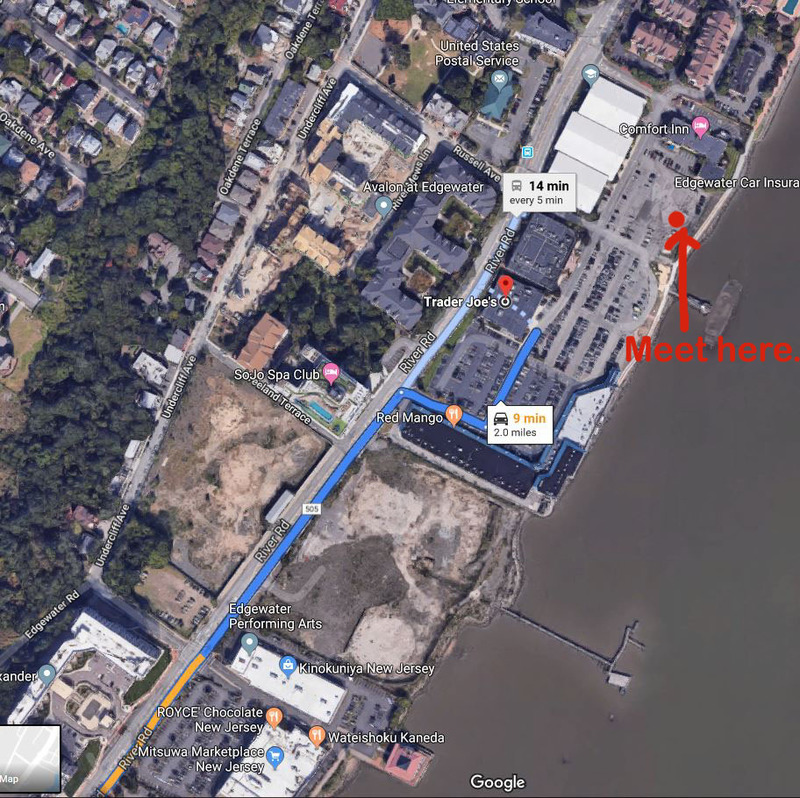 Meet: 9:00AM parking lot closer to the river, by Trader Joe. Look for the HRWC banner. Walk starts 9:30AM. Walk Description: The Walkway in this area is not completed and construction is hindered by very steep terrain. Heading north, the Walkway passes Mariner’s Landing condominiums and the Edgewater Ferry Terminal which operates ferries to New York during weekday rush hours. Detour to River Road to pass Admirals Walk and 1111 River Road, two old apartment complexes built before the Walkway legislation in 1984. Return to the Walkway at the Edgewater Veterans Park. This large park is being totally reconstructed to remediate contamination and provide a beautiful modern park facility. Continue through Shelter bay and Hudson Harbor condominiums and return to River Road, bypassing the Moorings and Vela condominiums on very steep terrain. The Walkway is completed in these areas but adjacent properties need to be developed and a Walkway constructed before any practical use of these Walkway segments can be made. From River Road, enter the Edgewater Colony. This is a private community that was established in 1948. While a separate Walkway is not constructed here, certain streets have been designated as “The Walkway” and connect the Colony to Palisades Interstate Park.